Have you ever used the wrong detergent for carpet cleaning in Stevenage to clean a stain that flakes your favourite rug? This it will not happen if you entrust Mega Cleaning. We constantly train and qualify our carpet cleaners so they can bring back the glamour of your carpet with an efficient and precise service. Nowadays it is very common to come across on the floor carpet or rug not only in residential buildings but also in offices; however, they need a very careful and proper treating on a regular basis. Ordinary vacuuming cannot clean the carpet into the core; instead, it just collects the dust that lies on the surface. It also doesn’t remove stubborn stains: If you want your Carpet cleaning done quickly, efficiently and inexpensively, feel free to contact Mega Cleaning. We cover many areas, including Stevenage SG. Find out the great variety of value cleaning services we provide you in Stevenage and the Hertfordshire area. While you have our team at your place why don’t you take advantage of precise Upholstery cleaning as well? This way you can benefit from the huge discount and clean both your carpets and upholstery fast and efficient and save money. For any of your future cleaning projects in Stevenage you can rely on Mega Cleaning – an affordable One off Cleaning, effective After builders cleaning and exclusive End of tenancy cleaning (pre-tenancy clean). Our professionals will ensure your carpet is perfectly pure again by using the most modern equipment, available on the market, as well as high-quality products that will make it look and smell wonderful. Upon arrival, our cleaners will inspect the material, from which your carpet or rug is made, as well as the dirt degree that needs to be taken care of. Because different types of carpet cleaning products can react differently, if chosen incorrectly, the surface can lose its colour or even get damaged. It is therefore not worth the experiment yourself at home, and you should rather turn to a seasoned cleaning company, such as Mega Cleaning. How actually the hot water extraction method works? 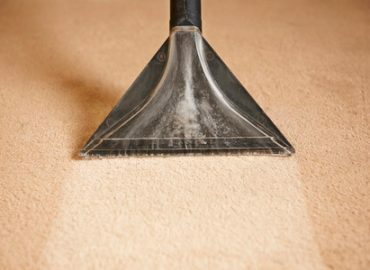 After the examination of the material of your carpet or rug, next step is vacuuming throughout. An essential part of the cleaning process is pretreating of any stains and spots with a variety of specially designed products. Then the machine injects a powerful and safe solution deep into the fabric and later on extracts approximately 95% of the moisture together with all the accumulated dirt, bad odours, and germs. This way your carpet is left almost dry after the cleaning. Foresee additional time for the complete drying process which depends on the airflow of the premises as well as the thickness of the pile fibre. Mega Cleaning can provide service and care for your carpets every day, on a regular schedule, or just occasionally. 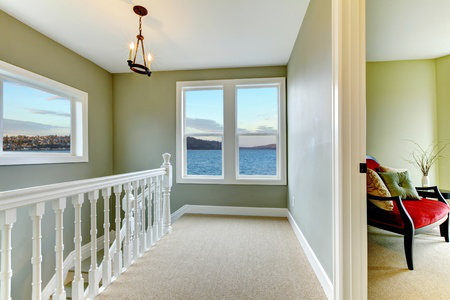 In this case, your carpet will always look perfect and you can enjoy it for a longer period. *Minimum charges apply and all price rates are suitable for the areas within M25. One of the biggest advantages of choosing Mega Cleaning for you Carpet cleaning in Stevenage is that you do not need to pick your carpets up and bring them to the washing station. Instead, you can just tell us a convenient time to arrive at the address, and from there our trained personnel will do the rest. Just give us a call on 020 3637 7737 and let us handle the Carpet cleaning, while you go about your personal chores!